The cover photo, by Chris Murray, is of the Moose River. With this year’s publication of Western Trails, the Adirondack Mountain Club (ADK) completed the most recent overhaul of its Forest Preserve Series of hiking guidebooks—and the club is already hard at work on the next edition of the series. 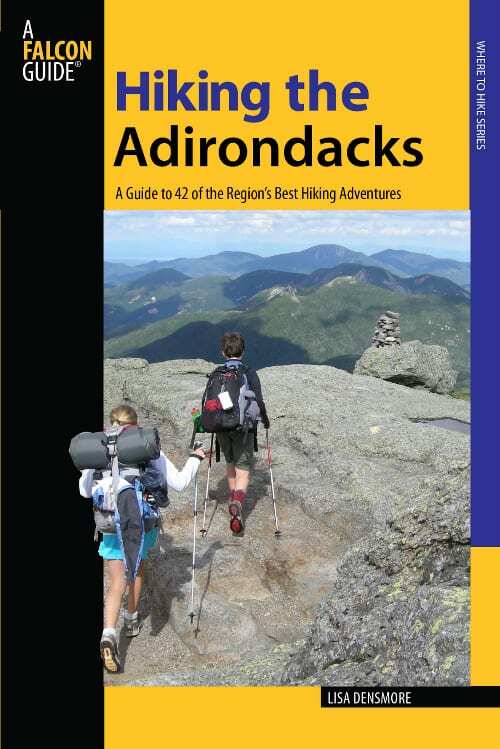 ADK’s hiking guidebooks used to divide the Adirondack Park into six regions. The club has pared that down to four regions (still covering the entire Park). In addition, ADK continues to publish a separate guidebook for the Northville-Placid Trail. The regions have been reconfigured to coincide with National Geographic’s Trails Illustrated maps for the Adirondacks. 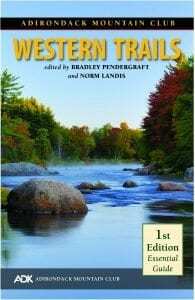 Western Trails, for example, describes the trails in the areas covered by the Old Forge/Oswegatchie map and the western side of the Saranac/Paul Smiths map. 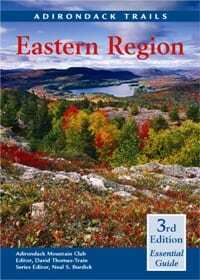 The other three regional books are Eastern Trails, Central Trails, and High Peaks Trails (the last is the club’s best-seller). They sell for $19.95 each. The maps cost extra. Western Trails contains some new goodies for hikers, including a detailed description and map of the latest incarnation of the Cranberry Lake 50, a fifty-mile loop that circumnavigates Cranberry Lake. Hikers who do the whole route earn a patch (a donation is requested to cover its cost). Also described is the 1.4-mile trail to the reopened fire tower on Stillwater Mountain, whose panorama includes Stillwater Reservoir and countless peaks in the western Adirondacks. The tower was restored a few years ago. The 1.6-mile trail to the top of Goodman Mountain is another new addition. 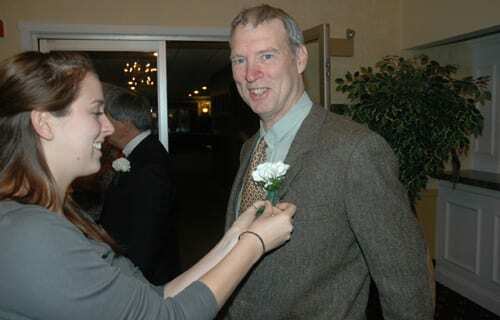 Located south of Tupper Lake, Goodman is named for Charles Goodman and his grandson, Andrew Goodman, a civil-rights worker who was killed in Mississippi in 1964. The Goodmans were longtime summer residents of Tupper Lake. Charles Goodman built the stone bridge near Bog River Falls. Something new for skiers is the Gilbert Tract Loop, a 2.1-mile trail near the hamlet of Cranberry Lake. Designed for cross-country skiing, it traverses gently rolling terrain. In non-winter seasons, it’s also suitable for short hikes. Western Trails completes the fourth edition of the Forest Preserve Series. Later this month ADK will publish a new Northville-Placid Trail guidebook, the first volume in the fifth edition of the series. One major difference is the trim size. The fourth-edition books are 5½ by 8 inches. The fifth-edition books will be 5 by 7 inches, the better to fit in a pocket or backpack. You may notice that the cover of Western Trails bills it as the first edition of the guidebook. That’s because it combines parts of two earlier books, Northern Region and West-Central Region. It is different enough from its predecessors that ADK regards it as the first edition of a whole new book.